You can enjoy various mountain scenery that changes every slot such as evening, starry night and morning. See from the top of Mt. 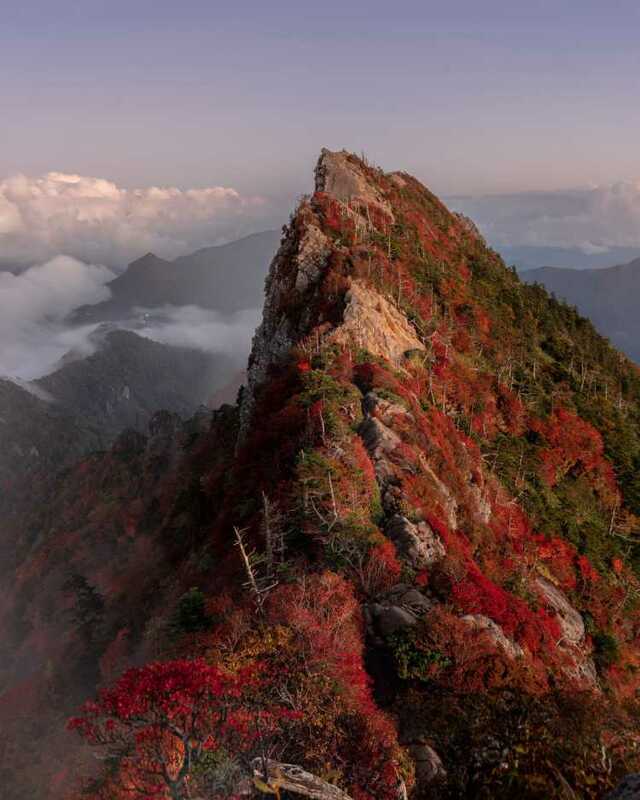 Ishizuchi, Tengu Mountain turns into lively colors in autumn.